Share the post "Main Types of Lavender For Your Garden"
Lavandula, which common name is Lavender is a genus of 39 known species of flowering evergreen perennial plants (shrubs) in the mint family, Lamiaceae. It is native to the Old World and is found from Cape Verde and the Canary Islands, Europe across to northern and eastern Africa, the Mediterranean, southwest Asia to southeast India. The English word lavender is generally thought to be derived from Old French lavandre, ultimately from the Latin lavare (to wash), referring to the use of infusions of the plants. Many members of the genus are cultivated extensively in temperate climates as ornamental plants for garden and landscape use, for use as culinary herbs, and also commercially for the extraction of essential oils. Each species of the Lavandula genus has its own qualities. Sun lover, this herb is drought tolerant, pest or disease resistant, and prefers well-drained soil. Colors, flowers, bloom times, leaf shapes, and hardiness vary across varieties. As fragrant as it its colorful, lavender is a wonderful addition to any sunny garden or container. To make it easy for you to decide, which lavender to grow, we’ll share some usefuls information in this article. 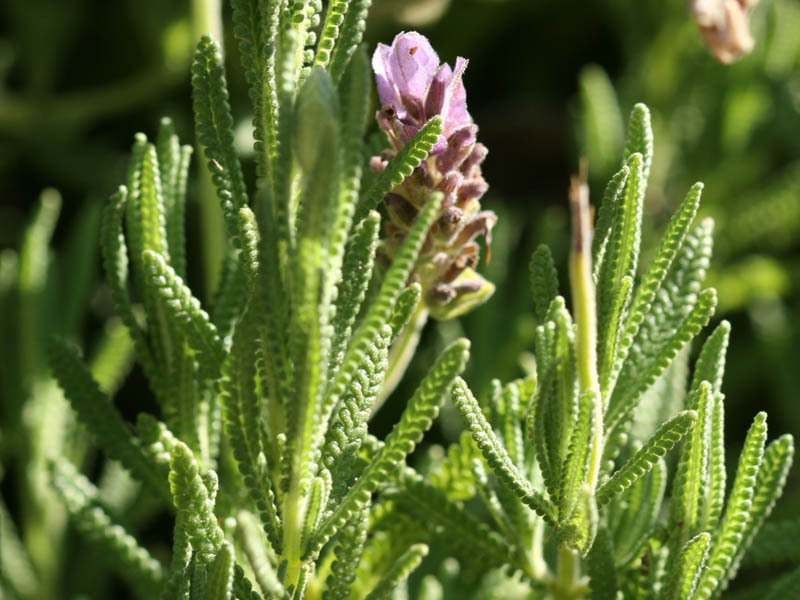 Lavandula angustifolia (angustifolia is Latin for “narrow leaf”), formerly Lavandula officinalis (referring to its medicinal properties), is the most widely cultivated species, and is often referred to as lavender. It is the “queen of herbs” for herb gardens. There is a colour named for the shade of the flowers of this species. 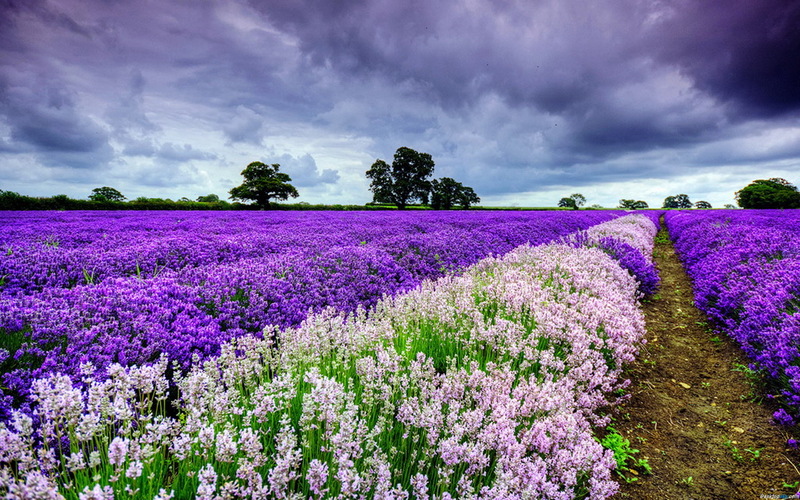 English lavenders are often called true lavender, garden lavender, common lavender, and narrow-leaved lavender and associated with the famous purple fields of Provence. English lavender isn’t from England, it is native to the western Mediterranean, primarily the Pyrenees and other mountains in northern Spain. English lavenders do well in cooler climates and generally considered hardy to USDA zones 5 – 9. They don’t feel good in very hot, humid regions and in continuously damp soil. English lavender is commonly grown as an ornamental plant. It is popular for its colourful flowers, its fragrance and its ability to survive with low water consumption. Flowers can be of different colors, depending upon cultivar: blue-purple, violet-blue, lavender, or white-pink. Foliage of narrow leaves varies from grey-green to green-purple in summer and silver-green to grey-bronzed in winter. It tolerates acid and poor soils, but favours neutral to alkaline sandy soils. English lavender is the most popular lavender grown today, and has the bouquet and appearance you probably associate with this classic herb. It has a strong scent, and its fragrance is used for medicinal (either in the form of lavender oil or as an herbal tea) and cosmetic purposes. It is a common base for aromatherapy oil, and also most often selected for culinary uses (often as part of the French herb blend called herbes de Provence) and craft projects. 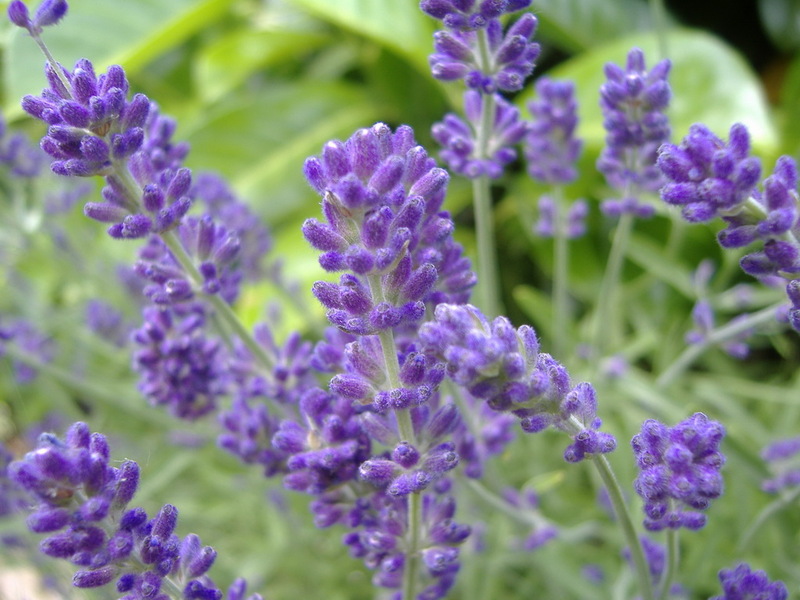 Lavandula angustifolia is great for edging along walkways, borders, rock gardens, raised walls, and in mass gardening. Blooms from late spring to late summer. Grows as high as 1 to 2 metres (3.3 to 6.6 ft) tall. Lavandula dentata, also called Fringed Lavender and French Lavender, is native to the Mediterranean, the Atlantic islands and the Arabian peninsula. It is present on Madeira and the Canary Islands. Lavandula dentata derives its name from the toothed (dentate) leaves with a richly aromatic camphor-lavender and lavender-rosemary scent. Largely used for decorative purposes, Lavandula dentata blooms are a less vivid violet in color and its scent is not as fragrant as other lavenders. But it is lovely, with clusters of purple flowers and furry, gray-green toothed leaves. It blooms from early summer to fall, and can bloom almost all year indoors if you have a bright window getting at least 6 hours of sun a day. It is a perennial in USDA zones 8 – 11, growing to 60 cm (24 in) tall. Like other lavenders, it is particularly associated with dry, sunny, well-drained conditions in alkaline soil. But it will tolerate a range of conditions. The plant is used in Murcia as an herbal remedy for stomach ache and its essential oil is used in perfumes. But the plant most associated with “French lavender” is actually the Mediterranean or Spanish variety described below. Lavandula stoechas, also called French lavender, Spanish lavender, Topped lavender or Butterfly lavender Spanish lavender is native to the Mediterranean and northern Africa, and is a good choice for humid climates. This species is more fragile than common lavender (Lavandula angustifolia), as it is less winter hardy (USDA zones 8 – 11); but harsher and more resinous in its oils. Like other lavenders, it is associated with hot, dry, sunny conditions in alkaline soils, but can tolerate more acid soils than English lavenders. Blooms from late spring to late summer and usually grows to 30–100 cm (12–39 in) tall. Flowers of the Spanish lavender are not so fragrant but the silvery foliage is very aromatic. It its used for essential oils and potpourris, and commercially in air fresheners and insecticides. Flower spikes have been used internally for headaches, irritability, feverish colds and nausea, and externally for wounds, rheumatic pain and as an insect repellent. Lavandula stoechas isn’t a good culinary lavender, but it is very attractive in the garden, particularly when planted out with marigolds. The plant is great in mass gardening, as ground cover, and excellent for containers. After flowering, it gets leggy, so trim it back. Since its introduction into Australia, it has become an invasive species, widely distributed within the continent. It has been declared a noxious weed in Victoria since 1920. It also is regarded as a weed in parts of Spain. Lavandula latifolia is also known as Broadleaved lavender, Spike lavender or Portuguese lavender. It is native to the western Mediterranean region, from central Portugal to northern Italy (Liguria) through Spain and southern France. Hybridization can occur in the wild with English lavender (Lavandula angustifolia). 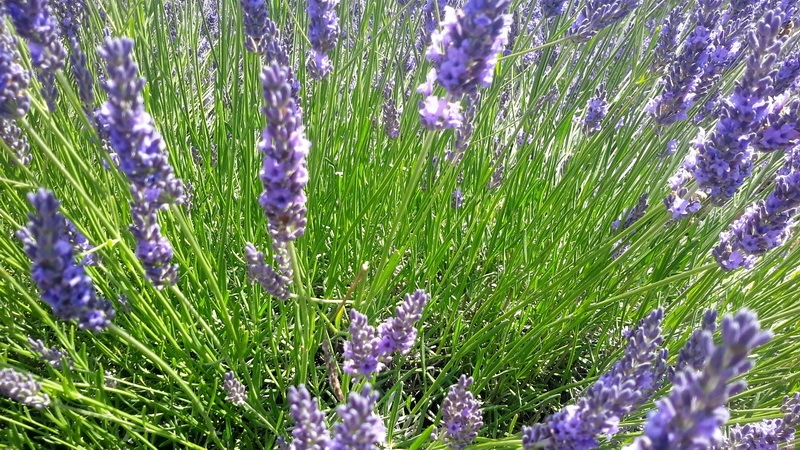 The scent of Lavandula latifolia is stronger, with more camphor, and more pungent than Lavandula angustifolia aroma. For this reason the two varieties are grown in separate fields. 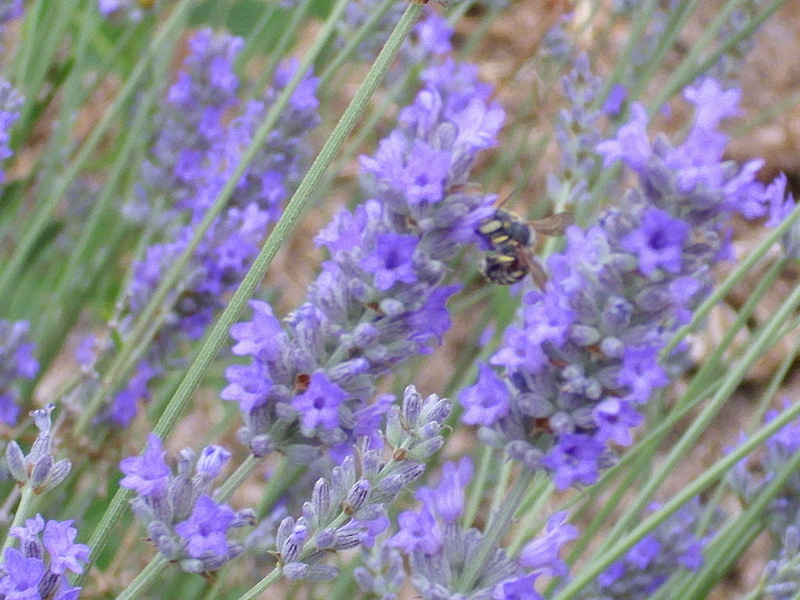 Portuguese lavender is a perennial in USDA zones 6 – 8, growing to 1 – 3 feet (30–80 cm) tall. It blooms from June to September, with pale lilac flowers. Lavandula latifolia can be used in aromatherapy. These flowers are hybrids of English lavender (Lavandula angustifolia) and Portuguese lavender (Lavandula latifolia). They are very hardy and strongly-scented, and grow quickly. The lavandins have long, gray-green leaves. Blooms from late spring to late summer. USDA hardy 5 – 9. From dark violet to white. 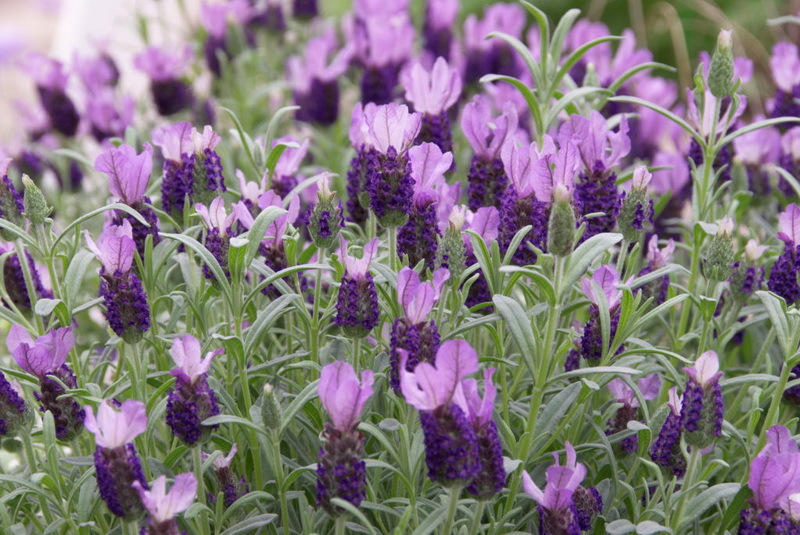 The lavandins are widely cultivated for commercial use, since their flowers tend to be bigger than those of English lavender and the plants tend to be easier to harvest. Dutch lavender yields a similar to English lavender (Lavandula angustifolia) essential oil, but with higher levels of terpenes including camphor, which add a sharper overtone to the fragrance, so lavandin oil is regarded by some to be of a lower quality than that of English lavender, with a perfume less sweet. Most lavandins are ideal for hedges, mass planting, borders, rock and herb gardens. Whichever type of lavender you choose, this aromatic multitasking bloom is sure to satisfy all of your senses – your eyes, your nose, and your taste buds! Do you grow Lavender in your garden? What is your experience with this plant? Please share with other fellow gardeners in the comments below! Do you sell Lavender seeds or have plants for sale? You can place your advertisement here. Contact us now!